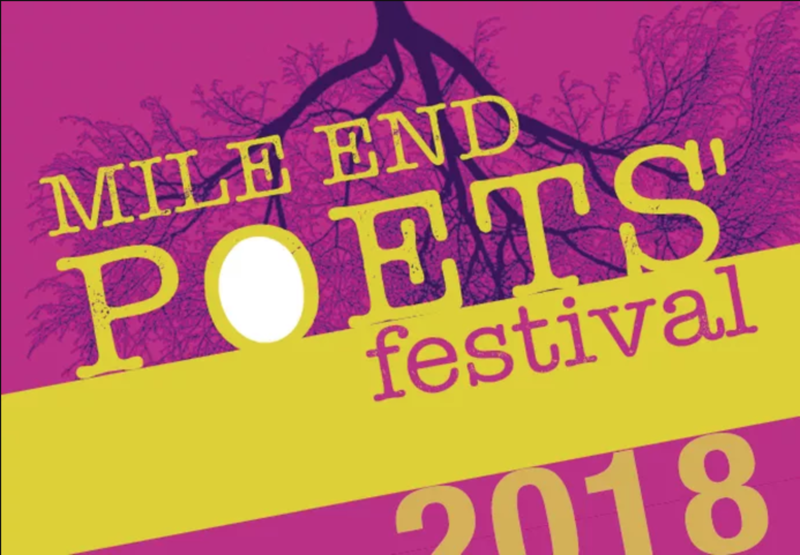 Deep Curation: A Poetry Reading is presented as part of the Mile End Poets’ Festival in collaboration with SpokenWeb. 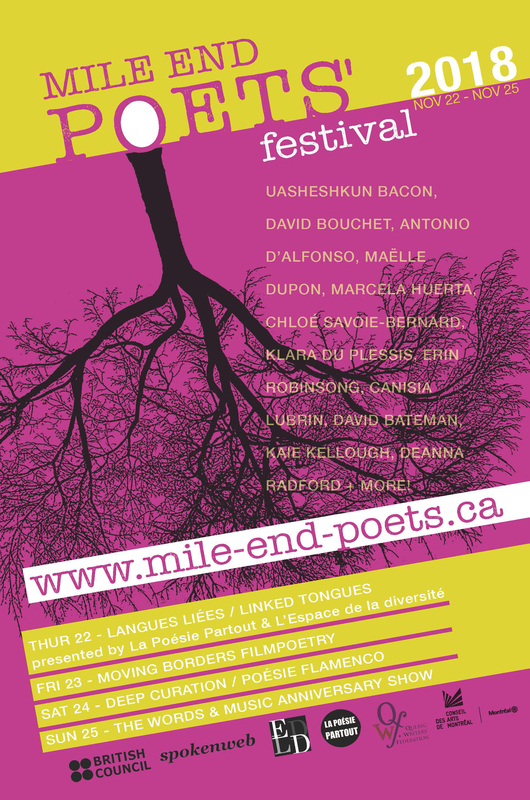 Four poets perform an interwoven, responsive reading, answering and echoing one another’s work. Readers: Aaron Boothby, Klara du Plessis, Canisia Lubrin, Erin Robinsong. Tickets are $7 on the door, or pay $12 and stay for the second half of the evening – music dances with poetry for Poesie Flamenco (10:30pm – 11:30pm)!